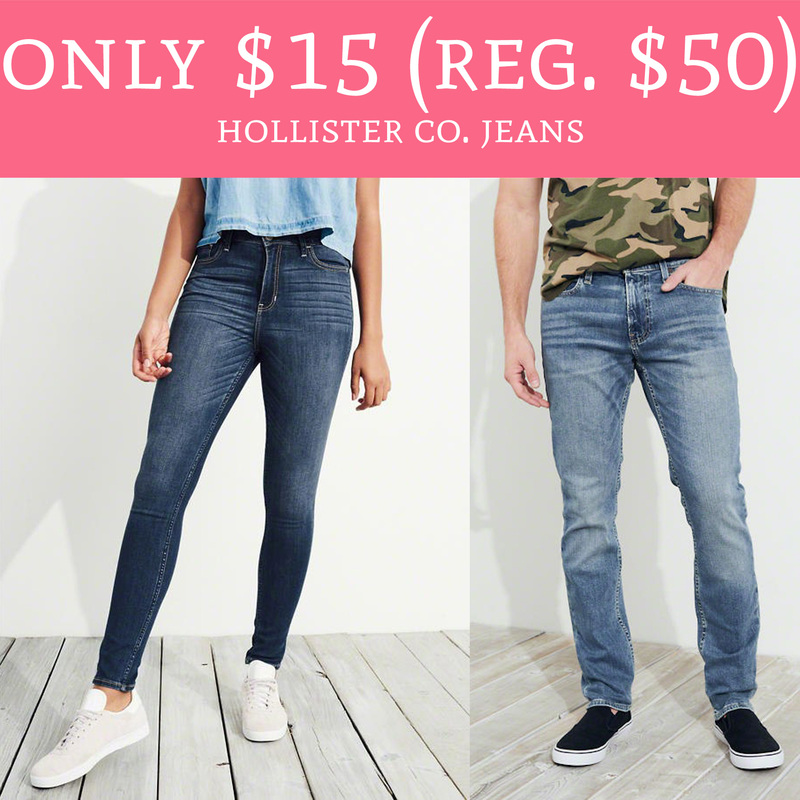 Hurry over to HollisterCo.com where you can score jeans for boys or girls for just $15 (regular $50). The jeans are currently on sale for $25 and when you sign up for the Cali Club you will get $10 off your $25 or more purchase. It’s free to join and once signed up you will receive an email with your unique $10 off promo code. Even sweeter, shipping is FREE with all jeans purchases. Browse the sale here!